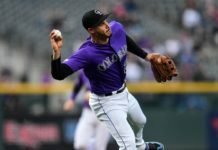 While many Rockies fans have been waiting for the alar to sound on a Carlos Gonzalez trade rumor, the Washington Nationals snuck in and started drumming up some noise about another Rockies All-Star outfielder. According to MLB Network’s Jon Morosi, the Nats are looking for a way to add another burly beard (we see you Jayson Werth) to their outfield. 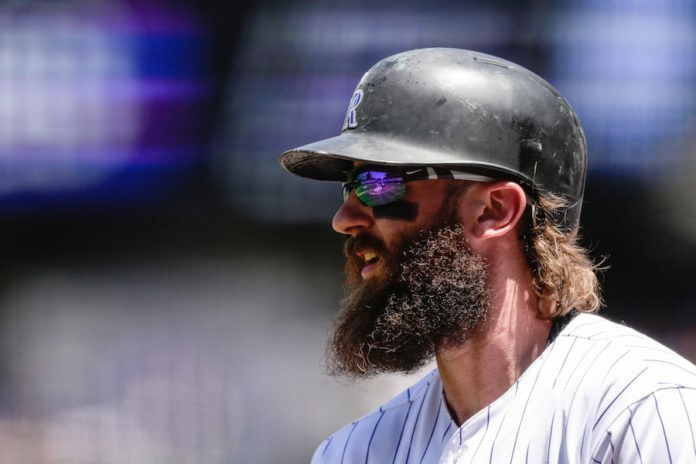 But would Blackmon be playing alongside or in place of the unfrozen caveman left fielder? The odds are good that he’d replace Ben Revere, who lacks pop in center field, but he could also provide respite for the 37-year-old Werth. Blackmon is on pace for a career year, hitting .305 with 43 RBIs and 12 home runs entering Tuesday’s matchup with Tampa Bay. 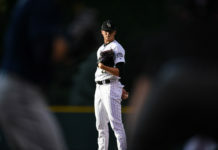 Colorado still fancies itself a contender, though, sitting only 7.0 games back in the Wild Card. Their next five games are against cellar dwellers Tampa and Atlanta. The Rockies are 3-1 after the All-Star break and with Clayton Kershaw on ice for the foreseeable future, making up some ground on the Wild Card-leading Dodgers suddenly looks very feasible. Blackmon is under team control for two more years, making him even more valuable. Making the deal very tempting from Colorado’s perspective is the success that No. 2 prospect David Dahl is having at the Triple-A level since being promoted on July 04. If Jeff Bridich can net a similar haul as he landed for Troy Tulowitzki last year (minus Jose Reyes), it could be hard to say no.